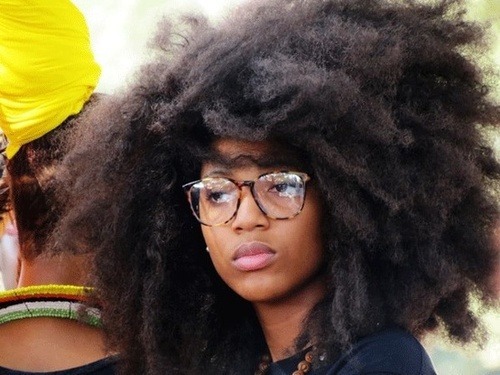 Black women will give any excuse they can think of not to wear their hair in its natural state. The excuses you will hear for this negligent behavior over their own hair are poor attempts to justify their own hatred and lack of self worth. This goes back to the influence that the mass media has on people’s minds and how they view the world. The psychosis is clear and perfected by white supremacy. It may be true that some jobs will not hire a black woman who wears her hair in its natural state. This is not due to fashion. This is due to the fact that in order to maintain white supremacy, it is a must that black women do not embrace their natural hair. As melanated people we are supposed to bow down to white supremacy and love everything that is typical of being white and hate everything that is typical of being black. This not only produces supremacy, but also inferiority. It is impossible for supremacy to exist without the existence of inferiority. When black women change the natural state of their hair, then they are expressing inferiority, as they are out-rightly expressing that they want beautiful hair and their own hair is not a representation of that beauty. We all want to look more beautiful. The truth of the matter is that long stringy hair is actually not more beautiful. It is actually ugly and like that of an animal or beast. The long stringy hair also has a unique smell that resembles that of wet dogs, which is why the hair now has to be covered with something that will mask the smell. Stringy hair also sheds, which is another nasty trait of this hair. 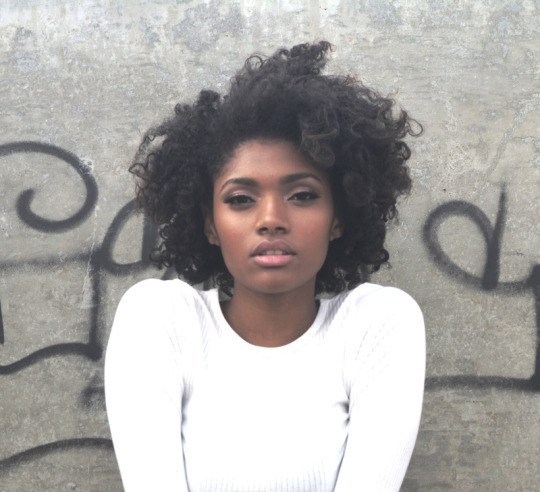 These days more and more black women are waking up to the fact that their hair is beautiful in its natural state. No weave, hot comb or chemicals required. the only thing that is required is taking care of natural hair and keeping it healthy. The repercussions of weave and chemical treatment for hair have proven to have massive effects and in many cases even causes the hair to fall out. Due to the manner in which these women wear their weaves and wigs, their real hair goes untreated and unkempt, which is disgusting. Who knows what lifeforms are actually crawling around in these women’s original hair. All for the purpose of looking whiter. Now I know some of these women actually try to say that they are not trying to look white because black people have straight hair too and are the originators of all hair. I call the b.s. They don’t really believe that they are embracing black people by wearing weave because most black people are born with nappy curly hair. Let’s cut out the back talk and stop trying to twist our reality, simply so we can embrace something that is not typically of us. The weave looks terrible and no one is fooled which is the sad part. Everyone knows that you are wearing a weave. Even if you spend 75,000 dollars on a wig! Most people know that hair isn’t yours. And the fact that you feel beautiful, wearing hair that does not come from you because of a genetic impossibility, is not only weird, but so sad. Black women, it’s time to wake up and embrace your natural hair, especially the pro black ones going around and hollering and screaming about how the black gene is dominant. You actually sound like buffoons and hypocrites with a personality complex about your black identity and its basically so sad. There is NO EXCUSE for embracing a quality or state that is not your own. Black women need to learn to love themselves once more as they want to claim they are the goddesses and gods of the planet as they are the natural life bearers. How contradicting.